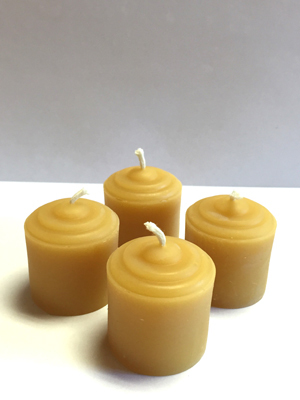 Our beautiful Votive Candles are each 1 1/2" and are made of Pure Beeswax. They burn cleaner than other candles and last much longer. PACKAGE OF FOUR.